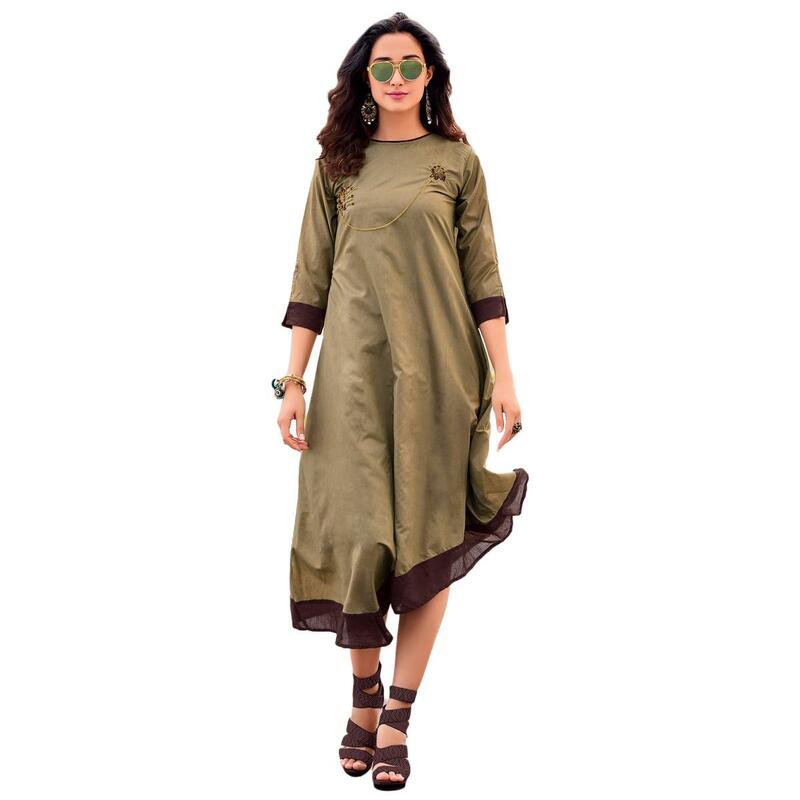 Leave your fashionable spark with this olive green colored party wear designer embroidered silk kurti.This kurti is made of soft silk fabric and has 3/4th sleeves.The kurti has a gorgeous unique color and a different style with very minimal embroidery, which is so attractive to the eyes. 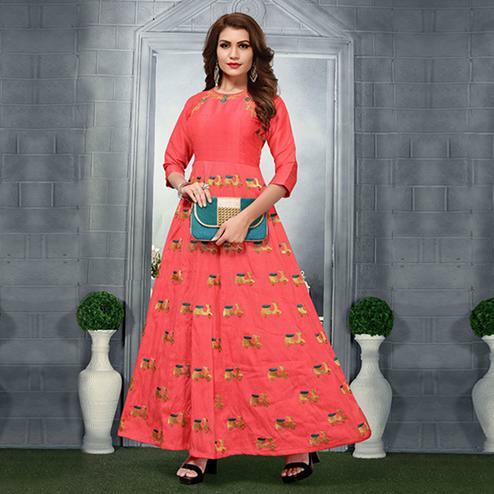 The kurti can be paired with pants or leggings. You can wear this at get together,office parties,kitty parties, birthday parties or any occasions. 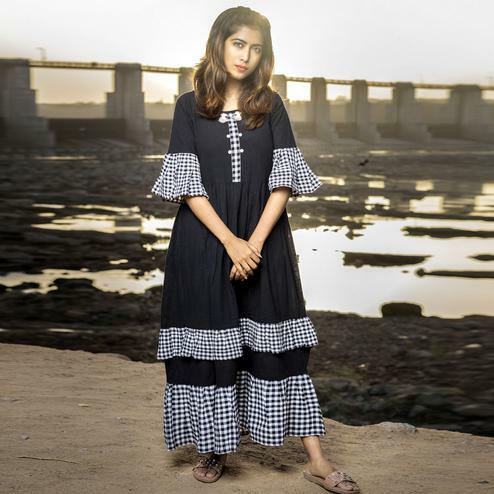 The kurti is comfortable,lightweight and stylish at the same time. Pair this with high heels and beautiful pair of earrings and you will be ready for your party.